This probably doesn’t sound like the most appealing snack, but I eat this for my mid-afternoon snack almost every weekday! It’s really easy to put together, is both savoury and slightly sweet, healthy and will make sure I don’t die of starvation before dinner. Again a recipe here seems sort of pointless. *optional: shake of cinnamon and/or cayenne pepper. Mix together, but its best if left at least for an hour for the cranberries to plump up slightly. I typically make mine in the morning and leave until the afternoon. This recipe is a variation from the Tone It Up Nutrition plan, which originally used 1/4 of a yellow pepper and some fresh herbs. I found it easier to always have on hand dried cranberries and now I prefer my version. This is also a pretty frugal snack as I buy 2kg bags of chickpeas then at the start of the week I make a batch. 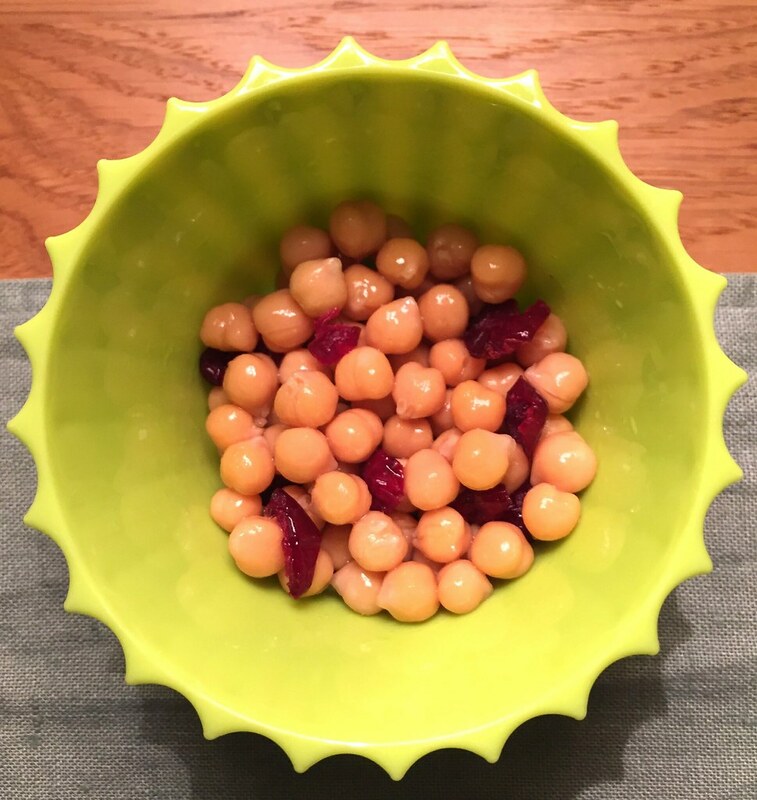 For 5 days of this snack I usually use – 1 cup of dried chickpeas, soak in 3 cups of cold water overnight, then cook in a slow cooker for 8 hours medium with a bay leaf. With this quantity there is usually about 1/3 cup of leftovers to add to curries etc during the week.